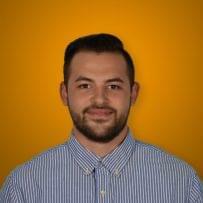 Cold calling is an awkward necessity for any sales team, regardless of industry. B2B companies have an especially hard time with them because there’s no mystery behind a cold call. Cold calling is also a numbers game, meaning you have to consistently make a ton of calls in order to see success. However, in a world full of impersonal interactions, businesses struggle to connect with each other, which inevitably leads to missed opportunities to do land a sale. We’re all accustomed to emails, texts, and other methods of communication because they’re faster and easier to use. As we’re realizing now, that comes at a cost, which is the lack of a personal interaction. The customer experience has to be a top priority regardless of who you’re selling to. Anyone can send an email, and that email can be anyone. Making a call might be tedious and it might take some time to get the results you’re looking for, but the effort can be enough to convince a questionable lead to make a purchase by giving your business a voice in a space where personality is lacking and, coincidentally, at high demand. 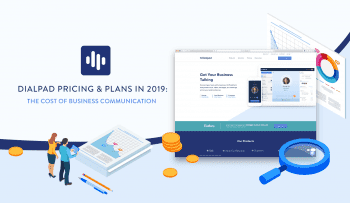 Here, we’re going to break down twelve actionable cold calling tips that really work in any industry so your B2B company can start prioritizing the customer experience and connecting with customers in old school ways that still have their place in your sales and marketing strategy. You have to know who you’re calling in order to have a successful cold-calling strategy. This means you know what business you’re reaching out to, you know who works there, you can guess who is most likely to answer the phone, you know if senior-level executives/management are reachable, and you know how your two businesses align and can help each other. It’s important to know all of this because the call has to be actionable from start to finish. Most people aren’t willing to take time out of their day for a phone call they weren’t expecting only to listen to a sales agent go on about making a sale without appearing as if they did any prior research. It’s true that the more cold calls you make, the higher the odds of getting a lead are, but that doesn’t mean you get to go into every call with a careless attitude. Doing your research prior to the phone call will tell the person on the other end that you’re trying, that the call isn’t just a shot in the dark and that there actually is something to gain from staying on the line. Look at your contact management software and go over any previous notes (if any) to determine if this is the first time calling, if your businesses align, and if you’re calling the person with the best chance of picking up and staying on the phone. No two cold calls are going to go exactly the same, but it’s important to have a script in front of you as a reminder to hit all your significant talking points. Without a script, you run the risk of going off topic, forgetting the person’s name, and not knowing why you’re calling in the first place. If you’re too general with your pitch, you’re not going to give off the impression that you’re treating this cold call as if their business really matters. B2B sales reps understand what businesses are after because they already know how sales and marketing teams work. That’s why taking the time to develop a quick and personalized script can turn a typical cold call into an actionable discussion that, in turn, leads to a follow-up. Pay close attention to word choice. Address the person on the other end by name. Use verbs that engage the other person and connect with the other business’ mission. Ask a coworker or manager to look over your script to ensure your talking points are actionable and relate directly with the other business. Adjust as necessary and be open to constructive criticism. Businesses are especially skeptical of cold calls because they know exactly why you’re calling in the first place. Chances are they have their own strategy in place, so nothing is hidden. They also know how disruptive cold calls can be, which means they’re going to be on edge if they decide to answer the phone. One way to alleviate some of the pressure and ease some of the tension on the other end is by watching your tone. You have to be clear, speak slowly, and be transparent about the nature of the phone call. If you speak too fast, or if you’re speaking too loudly or softly, that business isn’t going to waste their time trying to decipher what you’re trying to say. Remaining transparent about the nature of a call will help avoid surprises. You have to remember that there will be a lot more unsuccessful cold calls than ones that qualify leads. Paying attention to minor details like your tone of voice can help increase the odds ever so slightly. Record yourself or practice with another agent. Your pitch might sound good in your head, but what you think sounds good and reality don’t always coincide as smoothly as we expect. Aside from watching your tone, you need to make your cold call short and sweet. Businesses struggle to get through their day with little to no distractions. A cold call will absolutely not help. Know when the best time to make a call is and make sure you’re not keeping the person on the end of the line on the phone any longer than they want to be. What you don’t want to do is call before normal business hours or after. The exact time doesn’t always matter, but you want to think about when you’d be most open to receiving a call. Give the caller time to settle in and put their coat down in the morning, but don’t hesitate. Avoid lunch hours when people are eating and not likely to spend extra time on the phone. And don’t call right as people are walking out the door. Monitor your call times to determine what time you’ve had the most success. Don’t be afraid of calling during off hours either if you have a good feeling about them picking up. You can always call back if no one picks up. Using a local number is your best bet at getting someone on the other end to actually pick up. Even if they don’t recognize the number, they’ll recognize the area code, which does increase the odds of keeping the person on the phone long enough for you to make a case. 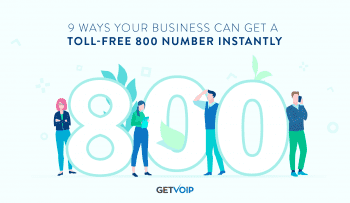 Virtual numbers, more specifically, allow businesses to use more than one number per line, which can help save you money. A local number also gives off the impression that you’re a part of the community. It shows that you’re making an effort to connect with the business you’re cold calling. First impressions matter, and the first thing a business will see from you is an unrecognizable number. If it’s private, we all assume we’re going to hear a telemarketer on the other end. However, if there’s a local number, we tend to think that a real person will be on the other end. Will simply changing your number increase the odds significantly enough to increase the number of qualified leads? Probably not, but when combined with other tips that we’ve already mentioned and will mention, it’ll all add up. Together, it all makes a difference. Many business VoIP providers offer features that allow businesses to use what looks like a local number. 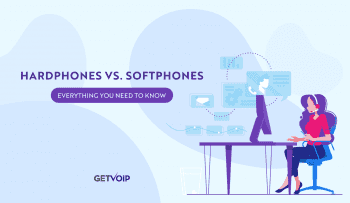 It’s fairly standard at this point, but if you haven’t switched to VoIP yet, it’s good to know. Use CRM software to manage contacts, keep track, and determine who the best people for a cold call are. Like we’ve already said, cold calls are a numbers game, but that doesn’t mean you should call everyone in your contacts list. Some businesses might not have an immediate need to do business with you; some might respond better to emails. Contact management typically allows to take notes on how they interact with your business, which should be used for added context. Segment the list based on what you want to accomplish. Learn more about customer journey mapping here. Again, there are tools out there that offer list building and customer segmentation in order to split leads based on demographics, behaviors, and purchase history. If, for example, you build call lists broken down by demographics, that makes it easier to write personalized scripts that cater to specific groups of people who might respond differently to one approach over another. The more personalization you bring to a cold call, the easier it is to make a connection with the business you’re trying to call. If you understand how one group responds to a certain pitch, you keep the person engaged instead of sounding like you’re grasping for straws trying to target everyone on your call list. Don’t stray from your defined call list. If there are too many crossovers, you’ll find inconsistencies within your script and be forced to generalize your pitch. Remember, you can always build more than one list. Here, consistency is key. If you need to step out of the office or take a conference room for an hour, do so if it means you can concentrate completely on the call. Cold calls are quick, and every word matters. The second you give the business on the other end the opportunity to end the call, they’re going to take it. You want to be sure you’re focused on turning that call into a lead. If you’re not paying attention to the person’s tone on the other end, you might miss sarcasm or a glimmer of hope that can make a difference. Every call matters regardless of how many you make. You’re taking another person’s time to speak to them about something they had no intention of thinking about before your phone call. The least you can do is respect the fact that they actually answered and didn’t hang up immediately. And cold calls aren’t a quick strategy either. It takes a lot of time and mental energy to stay focused for long stretches. The more distractions there are around you, the more needlessly difficult the strategy becomes. Dedicate a day or a couple hours each day to making cold calls. Step out of the office if possible or, like we suggested, schedule time in the conference room. Let other people know your plans as well so they can work around you. It also helps to have a customer success story in your repertoire. One of the easiest and most effective ways of connecting with someone else is by telling a relevant success story. Businesses understand how the sales funnel works, and numbers can only go so far. Spout too many and you’re going to leave the person on the other end wondering what it’s like to be your customer. So if they’re on the fence about following up with a meeting or another phone call, think of a customer success story that might relate to the skeptical nature of a phone call and describe what it all turned into. Cold calls are a numbers game, and we like to think that they, for the most part, don’t work because, to a certain degree, it’s true — especially if you’re unprepared. Businesses already understand numbers so you’re wasting their time explaining why they matter. Instead, target what they want to hear, which is a real-world story about how your business offers a positive customer experience and that working with you will help them improve their own business strategies. Remember to keep it relevant to both companies. Do not make a story up. Expect the business on the other end of the phone to do research on your company if they’re considering doing business with you. Be transparent, otherwise, the entire strategy is pointless. It wouldn’t be smart for us to say that you should rule out numbers completely. Finding a balance between telling a story and backing up your claims with numbers can offer a well-rounded argument for the business on the other end of the line. Numbers help simplify conversations by leaving businesses with facts that are much harder to dispute. Make sure wherever you get your numbers from are accurate or from a reputable source. Again, when you’re selling to businesses, they’re most likely going to do some research on who you are and wonder about where you’re getting your numbers from. If they ask, you need to make sure you’re prepared to give them an answer. The numbers you choose need to be relevant too. You don’t want to pick statistics that simply sound good and don’t actually help the business on the other end. Again, everything has to have a purpose. There’s not enough time to make a well-rounded argument. You have to be sure the numbers you bring up will matter to your customer. Typically, websites with .org and .edu are reputable sources. There are also the obvious business websites like HBR, Entrepreneur, Inc, etc. Don’t use statistics from obscure blogs or quotes from Reddit that aren’t cited. Cold calls can be very impersonal by nature, but by asking questions, you’re engaging the business on the other end to communicate with you. Try asking relevant, open-ended questions to help avoid awkward pauses and quick answers. When you’re asking a question, you are essentially telling the business you’re speaking with that there are things you don’t know, but you want to learn more in order to offer a better experience if they wish. Like we’ve said again and again, every word, every statistic, every second matters. This goes for questions as well. If you want to ask an introductory question like How are you?, that’s fine, but you can’t ask questions that aren’t relevant to the conversation. You don’t want the conversation to be only about convincing the business to make a purchase, but you don’t want to forget that you want to make a sale. If you spend all your time asking pointless questions or not giving the person at the other end the opportunity to speak, they’ll either hang up on you or tell you they’re not interested. And who could blame them? They don’t know you and they don’t want to spend their time getting preached to. Asking a question is actionable by default. You’ll hear this a lot in an effort to get the call to come to an end. Instead of trying to keep the person on the line for as long as possible, be ready to say, “Yes, give me your email and I’ll send it over as soon as we hang up.” Just be sure that when you do send them information, it’s relevant to what they want, expands upon what you’re talking about, and is not general business information they can find themselves. Most people on the other end of the line want the call to end as quickly as possible, but they don’t want to be rude. Businesses understand how cold calling works and why it’s such an important task, but they simply can’t be bothered by it when they have so much other stuff to do. Instead, they’d rather ask for more information so they can either look at it later or forget about it. What you need to do is use that against them. And don’t be afraid to be pushy about it. Ask for their email. Ask who the right person to follow up with is, and then ask for their number as well. Don’t let them forget about you. Don’t follow up the day after. If they give you their contact info, you need to send that relevant information over to them immediately after the conversation. Chances are they aren’t actually busy, but if you let them forget about you, they will. Practice makes perfect, but how are you supposed to learn from your mistakes if you aren’t recording your cold calls? Sure, you could have someone sit in the room with you while you speak, but that’s incredibly awkward and it takes another agent away from their work as well. 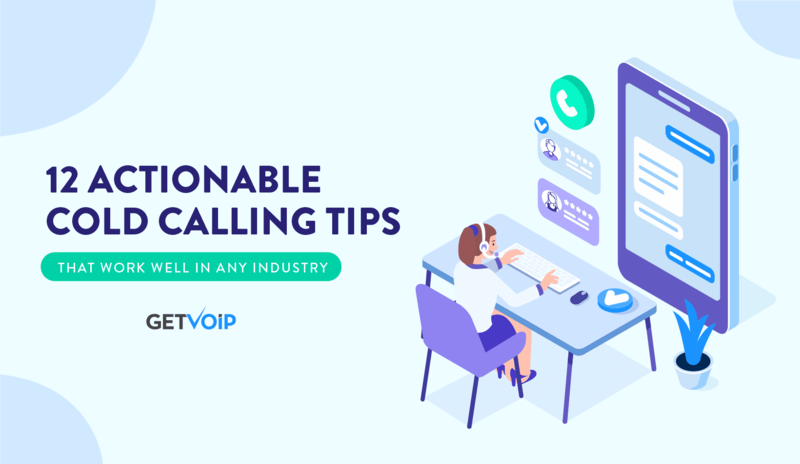 Instead, you can invest in a VoIP phone that offers call recording so you can go back to previous conversations to see what works, what doesn’t, what encourages businesses to stay on the line with you, and what leads to immediate hang ups. You can also pay closer attention to how you sound over the phone, which is usually much different from what we hear when we speak in person. If you record your calls and you need someone to critique you, it’ll be much easier if the call is recorded. You can start and stop at key points in the conversation to go over them extensively in order to really understand what’s happening and why. Set a day in your schedule to go over your cold call transcriptions. If you’re a manager and you want to set an example, use a positive example and bring your team in to discuss what happened and what you expect from your agents. Cold calling is an awkward, but necessary task sales agents are faced with on a regular basis. These twelve actionable cold calling tips that really work in any industry aren’t going to miraculously keep businesses on the other end of the line, but when they’re a part of a much bigger strategy, they help to increase the odds in your favor. Small changes often lead to big improvements — especially when those changes are all geared towards improving the customer experience. We’re all bothered by cold calls, but occasionally, they can be helpful and informative. Your goal should turn occasionally into every time. Even if you don’t see amazing conversions from your more thought out cold calling strategy, legitimate efforts to improve the customer experience will be remembered. That effort can make all the difference in an environment that has become much less personalized in terms of separating you from your competition.